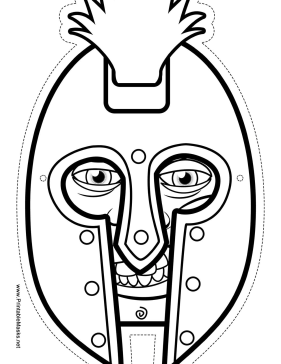 This Greek warrior mask has a big helmet for you to color in. Give your warrior a fearsome appearance to help him do well in battle! This mask is free to download and print.